So there are lots of things happening behind the scenes (See pic of me deskbound in the early stages of planning for our Mobilities Symposium 2020 here in the Business School at Northumbria University. We are just drawing together the organising committee to include our very own Northumbria Human Geographers (Thanks to Mark Clayton for joining up in the mission) and one other very cool and influential collaboration…..not telling yet…..so do watch this space as some updates and announcements will be soon. This week a big push for the new Mobilities and Complexities book. Check out this leaflet and it you like, buy the book for your University library and personal pleasure and intellectual joy! The new ‘mobilities turn’ (Sheller, Urry 2006) has become a powerful perspective in social theory. John Urry’s oeuvre has been very influential in the emergence of this new field and has had lasting impacts on many scholars. This collection presents originally commissioned essays from leading scholars in the field who reflect on how Urry’s writing influenced the course of their research and theorizing. This volume gathers contributions in relation to John Urry’s path-breaking work. The new ‘mobilities turn’ made a strong imprint in European social theory and is beginning to make an impact in the Americas as well. It challenges mainstream theoretical and empirical approaches that were grounded in a sedentary and bounded view of states. It propels innovative thinking about social and media ecologies, complex systems, and social change. It bridges many disciplines and methodologies, leading to new approaches to existing problems while also resonating with questions about both history and the future. Mobilities research marks the rise of academic and intellectual cooperation and collaboration “beyond societies,” as nations around the world face the ecological limits of contemporary mobility and energy systems. Having just arrived back from the C-MUS (Em)Powering mobilities conference at Aalborg University, Denmark a number of excellent connections were made and possible mobilities projects afoot. Some excellent research projects ongoing including Steve Graham (Newcastle University) his work on Vertical Mobilities and Martin Trandberg Jenson (Aalborg University) on public interventions and engagements with counter-terrorism and urban planning. Lots of thinking around new mobile methods and how technology (including VR and augmented realities fit in to this. There was also a ‘walk -along’ session and set of workshops that explored the social, political and place-making qualities of a driver-less bus project about to be tested in the local area. Some interesting debates about the practical uses of the bus as well as how this could shape different social-mobilities and border crossings. To find out more get in touch with C-MUS Director Claus Lassen as no doubt more work will be done in this area. Building Roads (2) Driver-less public transport bus in the highway discussion session. 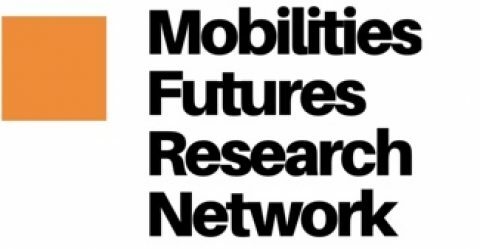 We invite other insights and contributions from the conference from other mobilities researchers.